Wow, that's a lot of dirty laundry being hung out right there. I've begun to wonder if CPS' Catholic related threads have become laundromats, that's for sure. It's as though wosbald takes the dirty garments of Christ's beautiful bride to wash them in a mud puddle for her enemies to see. Stop this! Yeah. Secrecy is the way to go. No, it isn't. What doesn't help anything is the constant posting on CPS to a bunch of anti Catholic guys who should also be exposed to the beauty found in the Catholic Church instead of all negativity from Catholics. In other words, my post above is more about CPS, not the dirty laundry itself. Yes, the dirty laundry needs cleaning. But why does wosbald have to post on a constant basis all the dirty intrigue of our church here of all places? For what purpose other than harm it further? 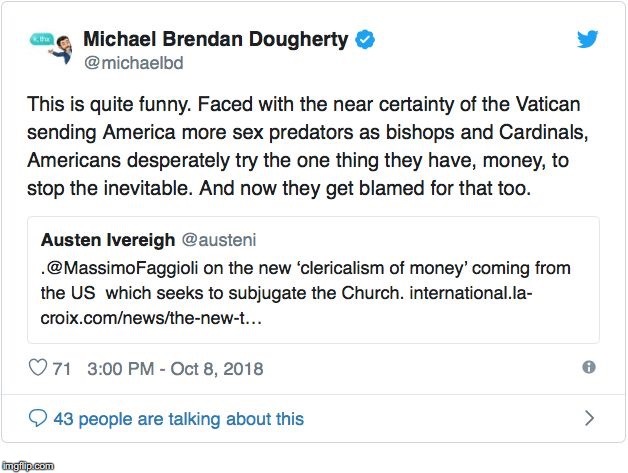 Oh yes, it's so very important that you know every little detail of trouble in the Catholic Church. I'm sure you keep track of every little detail about the Kingdom Hall too. Don't turn this around to some ridiculous crusade of transparency. It isn't. I just want to know why wosbald is always the bearer of bad news. He can post what he likes. I would prefer he become more balanced with it, that's all. Actually I do read up on most religions--including "Kingdom Hall". I have since grad school as my Master's is in Religious Studies. It is about transparency. If the RCC had been transparent about its problems when it happened, much misery would have been avoided. Oh I “read up on” lots of religions too. Once in a while something hits the news in a big way about one or another of them too. Of course the reporting is all about one or two things about the religion and that’s what the average Joe and Jill judge the religion by unless they have other experience with it. It takes a special disposition to go looking for all the bad stuff in anthing. What I mean here has nothing to do with transparency. In fact, having some posts on the bad stuff is just fine. We really should be aware of bad stuff. The trouble I personally have with what we have been seeing for the last couple of years since wosbald in particular has decided to post news on CPS about the Church for whatever reason, is how I subjectively perceive it all. Thought he might be interested in knowing how others might perceive his rapid and regular posting. Apparently you approve of it. That’s fine, I just wish he would share more variety. There’s so much more to the Catholic Church than bad news about sinners. Quite simply, I open up this thread or the Catholic thread thinking to myself, “What bad, horrible, and traumatic news has wosbald found for me today?” It’s not an objective complaint of mine, it’s subjective. I hang out around here sometimes and by golly I just wanted to say that I think all wosbald’s bad news is a real drag after a while. I wish he would share the nice stuff about church life more often. I tried to do that a few times, but for some reason it seems that the only thing people want to talk about concerning the Catholic faith is just the bad stuff. Makes me sad is all. But who knows, maybe I’m the only one! You should develop a boolean search string for your news aggregater. Every day dozens of stories and news reports are published each day about various religions. Jainism is a particular favorite of mine that has stories all the time. You want to b*tch? CPS is certainly the place but once again you attempt to tell me what I am thinking when, once again, you have no clue. Join, me, Thunk, in being profoundly grateful for having no idea what Bob thinks. Consider it as one of the mysteries. It is an article of faith that he thinks, but it is not a requirement to know what he is thinking, nor is it within our grasp to comprehend, so why bother? Just love the grumpy bastige. On a serious note, this thread stinks on ice. If the Church is the Body of Christ, the anatomical analogy must prevail. No need to become proctologists. Wait a minute. First, I perceived you accusing me of not wanting Church transparency, at which I felt compelled to explain myself further because that’s not what I wanted to portray. And now I’m being accused of telling you what you think? Well no, I’m not, and further, since I don’t know exactly what you think, you would need to try and tell as best you can what you think so that I can understand you better. I can only try, and if I fail, feel free to correct me. It isn’t my desire to misunderstand you, but it may happen anyway because I’m human. I was hoping we could be on speaking terms again, Bob. Olive branch sent your way. Last edited by Thunktank on Mon Oct 08, 2018 10:31 am, edited 1 time in total. I certainly do NOT know what Bob thinks, that’s for sure. And yes, I agree, I personally don’t wish for anyone to be a proctologist for the Church here on CPS of all places. Why for goodness sakes? Why wosbald? Well, skippy, I said these posts were important because of transparency and then you said that it wan't about transparency for me and implied (for some reason) that I only read negative stories about Catholicism even though I said I read all kinds of religious stories. Thats about it. So I did tell you but you told me what I was really thinking. Instead of acknowledging the huge hole Ouellet’s letter punches on Viganò’s testimony (a death blow in my opinion), anti-Francis critics have, unsurprisingly, doubled down. All across the Catholic social media, the immediate reaction to Ouellet’s intervention was a kneejerk one. “Ouellet is lying.” — they say, supposedly out of fear of reprisals from his superior. After all, the idea of Francis as a “Dictator Pope” is part of the narrative those critics constantly peddle. Of course, Ouellet’s tone is not one of a fearful person who is trying to lay low in fear of his superior… on the contrary, it’s the tone of a person who is in possession of the facts and forcefully presents them as such, showing even a hint of understandable frustration for seeing such a stubborn insistence on statements which are contradicted by those facts. And here is where the Orwellian redefinition of the word “sanctions” pays off. The argument now is that Ouellet’s clear and unmistakable refutation … does not provide “substantial refutation.” This is indeed Orwellian … if Ouellet’s letter is not a refutation, then nothing in the entire world is a refutation of anything. What are you talking about? I most certainly did not say most of that to you specifically or about you at all! Hardly any of it in fact. 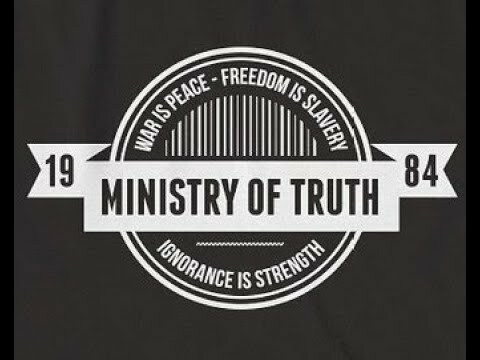 My objections to the posts were not about about transparency to me. It was about transparency to you apparently. Then I explained to you why it wasn't for me. I never said that you only read negative news about religion, I did say that lots of news about religion is negative and that is what people in general judge religions upon. I'm done here and wosbald just keeps right on posting this stuff anyway, go figure. As you said, CPS is a great place to b*tch. "The Church has recently been hit by one sexual abuse scandal after another, from Germany, to the United States, to Chile. At the same time, a deepening polarization between conservatives and liberals in the Church has played out on social media." "Catholics are being asked to recite the rosary daily in October and conclude it with a prayer to St. Michael that was said after Mass until 1964 but then fell into disuse. 'St. Michael the Archangel, defend us in battle. Be our defense against the wickedness and snares of the devil. May God rebuke him, we humbly pray, and do thou, O Prince of heavenly hosts, by the power of God, thrust into hell Satan, and all evil spirits, who prowl about the world seeking the ruin of souls.' "
Forgive me for posting this without comment. … One of the most disturbing aspects of much media coverage has been the way news reports repeated the myth that McCarrick had some kind of newfound influence under Francis, and repeated it as a fact needing no substantiation. The source of these claims was always McCarrick himself, which should have made people suspicious. Ouellet has now exploded it as fiction. It is not often that I see a headline about something the current pope said and then I read it and agree - but this time I do agree, and I'll give credit where it's due. FAITH is a firmly held belief, based on the testimony of a reliable authority. Can you cite a reliable source? I've got Genesis 1:27... but I'm looking for something more recent. Well, to be fair, the Pope has never read a newspaper article about you he's agreed with. You ever look at it that way? Dont go protestant on me, boy. There's Scripture and there is Tradition. Besides, I heard he came from Nazareth. All 15 Catholic dioceses in Texas will release early next year the names of clergy who have been "credibly accused" of sexual abuse of a minor, the Diocese of Dallas said in a statement Wednesday. Texas bishops decided last month to release the lists of names by Jan. 31 as part of their effort "to protect children from sexual abuse" while promoting "healing and a restoration of trust" in the church, the statement said. Dallas Bishop Edward Burns said the investigation constitutes a "major project" because it will include all 1,320 Catholic parishes in Texas. Weird. I though wos' posts were basically Vatican spin rather than the airing of dirty laundry. Of all the negative stories clogging the internet about the RCC, wos' CPS reporting seems to me to be very much in the 'positive' stream. Kasper’s comments came in an interview with Crux following an award ceremony in which he received the “Civitas Dei” medal from Villanova University on Thursday. 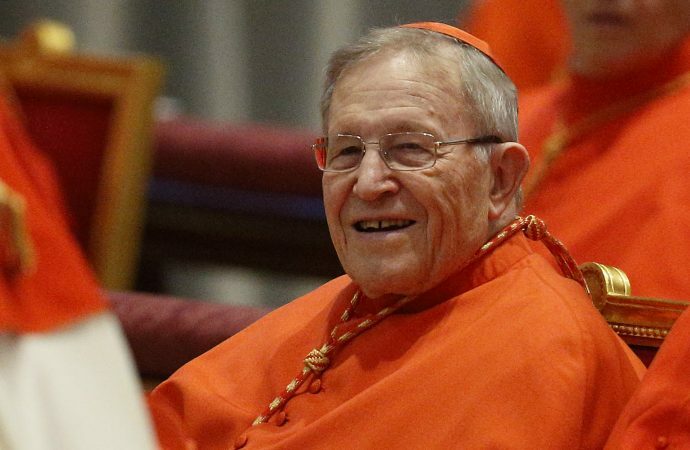 Kasper became a leading figure during the 2014 and 2015 Synods on the Family, and is widely viewed as the architect of the final document’s cautious opening to communion for divorced and remarried Catholics. Francis publicly praised his book, Mercy, in which he first outlined the proposal, soon after his election in 2013. Kasper told Crux that he was happy to be on the sidelines of the current synod, while lamenting that certain controversies from the previous two synods have overshadowed both his and the pope’s intent. Five years after Francis first praised Kasper, he is returning the favor, saying Francis has taught the world a new way of being pope. “I am very much in favor of this pope,” he added. ROME — In a new and now third public letter, a former Vatican envoy to the United States said the Vatican’s top official for overseeing bishops confirmed many of his accusations of negligence in the handling of an infamous ex-cardinal charged with sexual abuse and once again pointed to homosexuality as the cause of the abuse crisis facing the Catholic Church. “Cardinal [Marc] Ouellet concedes the important claims that I did and do make, and disputes claims I don’t make and never made,” said Italian Archbishop Carlo Maria Viganò in a letter published on the blog of Italian conservative journalist Marco Tosatti Oct. 19. Earlier this month, Ouellet, prefect of the Vatican’s Congregation for Bishops, published a letter accusing Viganò of a political “frame job” and a “deplorable and incomprehensible attack” on Pope Francis, after Viganò accused the pontiff of knowing about sexual misconduct concerns regarding ex-Cardinal Theodore McCarrick in 2013 and taking no action. In his original letter released Aug. 26, Viganò called on Francis to resign. Ouellet also stated that there were no formal “sanctions” against McCarrick imposed by Pope emeritus Benedict XVI that Francis ignored, contrary to Viganò’s allegation. 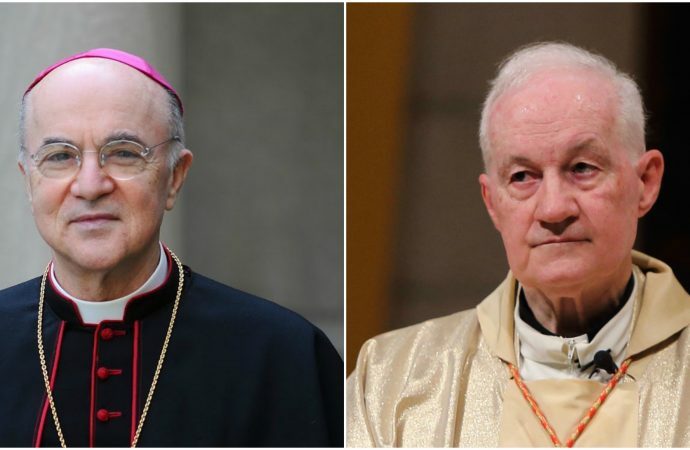 In what has become a Vatican “he said-he said” scenario, Viganò answered Ouellet’s letter by stating that his rebuke has reinforced him in his decision and, furthermore, serves to “vindicate” his claims. Viagnò shared a timeline of what he states were his interactions with Ouellet and Francis concerning the McCarrick case. On June 21, 2013, he states that Francis spoke “cryptically to him about the U.S. episcopacy” and that two days later the pontiff asked him what he made of McCarrick, but no action was taken. “Pope Francis himself has either colluded in this corruption, or, knowing what he does, is gravely negligent in failing to oppose it and uproot it,” Viganò said. While the letter opened with an acknowledgement of the “alarm and dismay” that his allegations against Francis and the Vatican would entail, it concludes by appealing to other bishops and priests who can confirm and support his claims to speak. 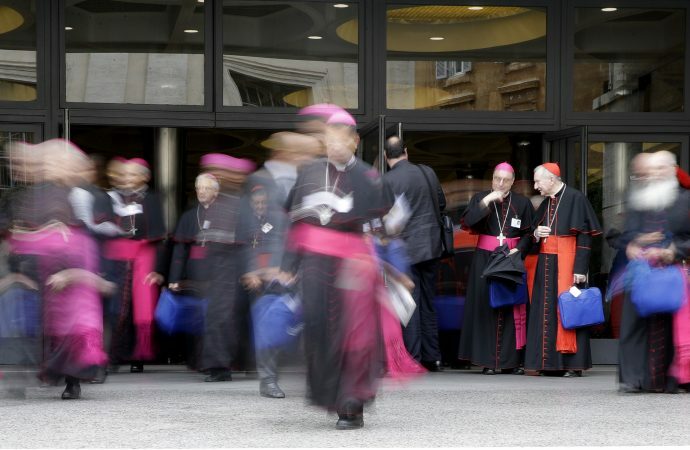 VATICAN CITY — No one is excluded from the love of God or from being welcomed into the Catholic Church, but God’s love and the Church’s welcome also come with a call to conversion, said the English-language groups at the Synod of Bishops. 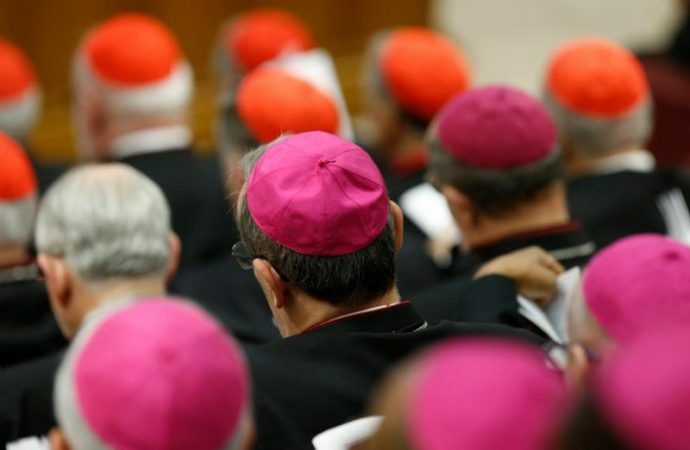 ROME — As a monthlong summit of bishops in Rome enters its final week, the latest round of reports from small working groups organized by language released on Saturday suggests a growing impatience to get practical.